For college students with lofty career aspirations and business professionals who are interested in taking their career to the next level, attending graduate school and earning a more advanced degree is the ideal solution. However, the cost of a graduate degree can be rather expensive, and many would-be grad school students are looking for an affordable way to pay for their graduation school education. 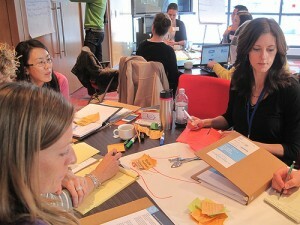 For the 2011-2012 school year, the average cost of tuition for the top 20 graduate business programs was $102,355. Of course, other expenses also must be incurred, such as books, fees and living expenses. While some students will continue to work at least on a part-time basis while attending graduate school, others will quit their job while earning their graduate degree. This can compound the challenges associated with pursuing a more advanced degree. With the right strategy, however, those who would like to earn a graduate degree may find a way to do so. Student loans are certainly one option available for paying for grad school, but this money must eventually be repaid. Scholarships and grants are a preferred solution because the money is an award that does not need to be repaid. Grants and scholarships for grad students are more difficult to come by. However, if you know where to look and follow application guidelines and requirements, you may be able to pay for at least a portion of your education with grants and scholarships. One of the best resources available to grad students who are interested in applying for scholarships is their college or university. Many colleges and universities award scholarships to students based on merit. In some schools, these are not available through the financial aid office but rather through the specific academic department that the student is pursuing a degree through. For instance, for grad students seeking a master’s degree in education, the Teacher Education Assistance for College and Higher Education (TEACH) Grant Program offers financing for students who are interested in becoming teachers. Up to $8,000 may be offered over two years through this program. It is important to research these programs early on and to apply for them early as well. There are also public and private organizations that offer scholarships to grad school students. One popular scholarship is available through the Truman Scholarship Foundation, and it offers awards of up to $30,000 each to up to 60 students each year. Some of these organizations offer programs that are available to grad students in a specific field of study. In addition to the Truman Scholarship, many graduate school programs offer the Fulbright Scholarship, which is available to U.S. citizens who wish to complete graduate studies abroad, as well as international students who wish to attend grad school in the U.S.
Another method of funding for graduate school is through teaching assistant jobs. Most colleges and universities in the U.S. offer graduate students assistant teaching or fellowship positions to help cover tuition costs and expenses (similarly to work-study programs for undergraduate students). These opportunities not only help with financing, but also offer graduate students valuable work-related experience. Teaching or research assistant jobs can typically be found directly through your school’s financial aid office or graduate student office. Some experts state that it is best to apply a specific strategy to your efforts to search for a grant. For example, you may find a greater level of success when you search for grants available for your specific field. Opportunities for grants may be more prevalent in fields that are in high demand. For instance, Purdue University offers a list of scholarships and fellowships for engineering students. While some programs require students to complete a certain degree or enter into a certain career path, others are simply geared towards getting more traditionally under-represented students into the program (such as the American Association of University Women or the Hispanic College Fund). One way to search for these grants is to contact the financial aid department or Office of Graduate Student Affairs at the school where you are enrolled. You can also look for grants that may be available through trade associations and professional organizations in your field. The Internet is also a great general resource available to you for Grants. If you are currently in the workforce, another idea to consider involves talking to your employer about tuition reimbursement programs available. With many employers, you may need to work full-time with the company for a period of time before you qualify, and you may need to continue to work there in order to have your tuition reimbursed. However, some companies will reimburse up to the full amount of your tuition. Others may offer scholarships or grants that you can apply for. Because these may only be available for current employees and their immediate family members, the competition for these scholarships and grants may be reduced in comparison to other programs that you may apply for. Because of the considerable cost of a graduate school program, many students will need to develop a comprehensive strategy to pay for their education while continuing to support their lifestyle. A great strategy to consider may be to reduce living expenses as much as possible. This may mean downsizing to a smaller house or apartment, living with a roommate, driving a less expensive vehicle and taking other similar steps. 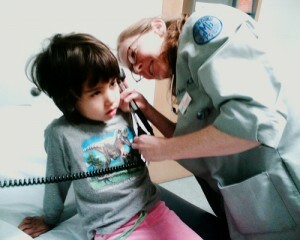 In addition to reducing expenses, additional funds must be available to pay for the educational expenses. When you have exhausted all options for scholarships and grants, you can consider applying for a loan for the rest of the funds that you need. Also, be sure to take advantage of the Lifetime Learning tax credit available to students if you qualify for it. Paying for grad school can be a challenge, but it is not impossible to do. A graduate school degree can help you to qualify for more advanced and higher-paying positions in your field, and this may be the stepping stone that you need to cross over in order to achieve your professional dreams. To get started, you should consider reviewing the different scholarships and grants available to grad school students at your school and in your field. Then, consider exploring other options like employer-reimbursed tuition, student loans and reducing your living expenses. 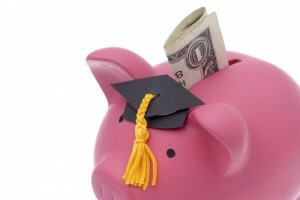 These combined efforts may help you to develop a strategic plan to pay for your education. Before you go to grad school, consider taking a year off and traveling around the world, there are some great deals on tickets all the way around the world. If you plan on going overseas, don’t leave home without getting an expired passport renewal. Don’t be the one person on the trip who gets to the airport with an outdated passport! Earning an MBA is a coveted goal of many college students and business professionals alike. Some have the desire to enter an MBA program immediately after graduation, but many adults will work in a business environment for several years before making the decision to go back to school and earn their MBA. Earning an MBA can be challenging for many reasons, and one of the most significant challenges relates to cost. According to Forbes, the average cost of an MBA in the United States is just under $100,000. However, in exchange for the time, effort and cost associated with an MBA, those who have this higher-level degree generally will qualify for more coveted positions in a corporation, or business environment. Furthermore, they may command a higher income. According to the Graduate Management Admission Council, the average starting salary of an individual with an MBA was over $85,000, and this was over $40,000 more than the average starting salary of an individual with a Bachelor’s degree. Clearly, there is earning power in many fields for those with an MBA, but the cost of an MBA can be steep. Identifying some of the most affordable MBA programs in the country may help you to find a cost-effective way to enjoy the benefits of an MBA degree without the hefty price tag. For students looking for an option that offers them a flexible schedule, the University of Louisiana at Monroe ranks as one of the most affordable accredited online MBA programs in the country based on a 2013 News & World Report. Tuition for the online MBA at this school is a very reasonable $8,990. What’s more, Monroe is an affordable city to live in with a relatively mild climate much of the year, making it an ideal location for in-state students. Southeast Missouri State University also offers one of the most affordable MBA programs in the country. With a campus in Cape Girardeau, Missouri, Southwest Missouri State University offers an MBA in General Management that can be earned on campus as well as through online education. The in-state cost for the degree is about $9,389, and the out-of-state tuition is about $16,269. For students who are interested in earning an affordable MBA degree from a larger school with a strong reputation, Arizona State University is a great option. This school’s main campus is located in Phoenix, and there is a second campus in Tempe. These are areas that are known for having great weather and affordable cost of living. The cost of the two-year MBA program for in-state students is reasonably priced at around $22,500 per year, while out-of-state students will pay $30,700. One of the key benefits associated with attending this school is the relatively small class size. Most MBA classes here have less than 50 students each, which ensures that you have access to your instructors and can enjoy personal attention. Auburn University is located in warm and sunny Auburn, Alabama, and students can earn their MBA degree on campus or through a distance educational program with online courses. The Executive MBA program has been ranked as seventh in the country according to a list by U.S. News. The entire 21-month program is $55,480—just over half the nation’s average MBA cost. Students can choose between six different concentrations, and dual-concentration MBA programs are also available. Research assistantships are also available to the brightest students at the school. The University of Florida is widely known as one of the top state schools in the country, and its MBA program is regarded as top-notch. The cost of in-state tuition for the traditional two-year program is $24,908, and the non-resident tuition is $59,695. Students can choose to attend classes on the campus in sunny Gainesville, or they can pursue on online MBA degree. Notable alumni from this school include Florida Panthers owner Alan Cohen and New York Yankees owner Hal Steinbrenner. Furthermore, the school ranked fourth in a listing of the top MBA programs in the country by U.S. News. The Mays Business School at Texas A & M University is a premier academic institution. In fact, the Financial Times ranked this school as first overall in regards to “Best Value for Money” in 2012. The main campus is located in College Station, which is conveniently located between Houston and Austin. It offers a rich tradition, a low cost of living and a fabulous climate. In-state students can complete their MBA degree for about $37,667, and non-resident students will pay about $50,000. This school has the notable distinction of being one of the few in the country that have a private trading center for securities and commodities. The school is also known for its retailing research center and real estate school. Making the decision to earn an MBA may be one of the best steps that you can make to advance in your career as well as to enjoy a higher quality of life over the years. Putting in a bit of research may result in savings of thousands of dollars per year in tuition—and these aren’t the only schools with programs under $50,000. Both Ohio University and Benedictine College have programs under $30,000 ($29,000 per year and $22,200, respectively) and are also great choices, according to a CNN Money report. With numerous MBA programs available through schools in your state as well as with distance education programs from schools across the country, there are many programs to consider. Students struggling to decide which MBA classes to take should consider web and graphic design or computer programming. The internet is invading the day to day lives of businesses world-wide and MBA students would be well served to increase their internet intelligence. So, you’ve earned your undergraduate diploma and have decided to continue your education by pursuing a graduate degree. You’ve researched programs, schools and locations, and have narrowed your options down to a handful of choices that meet your requirements. 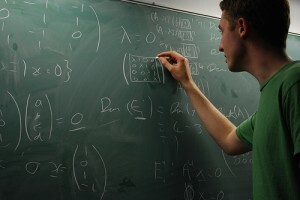 Deciding on a program, though, is just one of the many steps to earning a master’s degree. The question of how to pay for all this additional education is a major issue. It’s no secret that graduate school is a huge investment and, unless your name is Papa John, delivering pizza won’t even come close to offsetting the costs of an advanced degree. Many companies support employees who want to advance their educational qualifications while continuing to work full time. Such an arrangement can be mutually beneficial, allowing an employee to gain additional credentials and giving an employer a better-trained staff. Arranging the necessary support and logistics can take some time, so workers need to present a strong case as to why furthering their education can add value to the organization. Remind your employer about the potential tax breaks in this arrangement and know that you’ll be expected to make a long-term commitment to continue working for the company once you get your degree. Through their various financial assistance programs, including Tuition Assistance (TA) and the Post-9/11 GI Bill, the branches of the U.S. armed forces will provide eligible service members and veterans with assistance in paying for grad school. While the GI Bill is familiar to many people, other lesser-known programs are available. For example, the Navy’s Health Professions Scholarship Program may cover 100% of the cost of dental and medical school tuition, and also provide a monthly stipend for individuals interested in a healthcare career with the Navy. Tuition Assistance funds also are available for service members who want to pursue a master’s degree. With more schools offering 100% online graduate programs, it’s becoming increasingly possible for military personnel to complete degrees while balancing deployments and other duties. 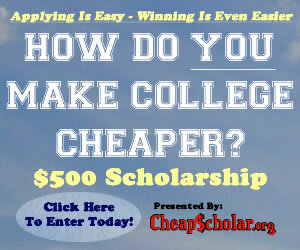 Scholarship opportunities may include merit- and need-based awards, essay contests and career-specific financial help. The key to finding a scholarship is research, so it’s imperative to invest adequate time and energy in looking for potential sources of assistance. Check out professional organizations, public agencies and private corporations; Web-based directories are a good place to start your search. Although career-specific scholarships are typically easier to find in the nursing and teaching professions, there are other options. Most graduate schools hire graduate students to assist faculty with research projects or classroom instruction; these are commonly known as assistantships or fellowships. Under such arrangements, a school may pay at least a portion of a graduate student’s tuition and fees, and possibly even include a stipend and partial or full health insurance. Not only are fellowships and assistantships helpful financially, they also provide students with on-the-job experience in their career field, as well as access to mentors and academics. Securing an assistantships or fellowships is often very competitive, meaning it’s a good idea to start researching options early in the grad school application process. Also, graduate fellowships typically require a substantial written application and submission of a research proposal. The bottom line in paying for graduate school is that you need to be creative and dogged in your search for financial resources. Although the cost of a master’s degree can be significant, the long-term professional and personal benefits can also be substantial. So, leave no stone unturned and no application unfilled. Today’s guest article is provided by Grant Webb. Grant is a writer and editor for Bisk Education and University Alliance online business degrees covering news on financial aid, Masters of Education and Masters of Elementary Education topics. Looking To Jump Start Your MBA? Here Are 3 Tips! There is no doubt that deciding to pursue an advanced degree is a commitment. You will commit to time away from your family and your career. You will also make a financial commitment, which often includes paying back student loans after you graduate. Because of this, it is important to carefully consider how you are going to plan for this investment. 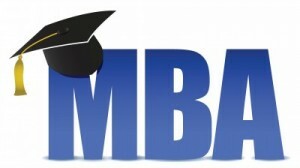 The first step you must take is to choose your MBA program. Whether you pursue an accelerated MBA online or an on-campus, two-year MBA program, your chosen degree plan should be the one that best serves your long-term career goals. Once you have selected your program, you can begin to research how best to afford it. For the best results, it is wise to select your top three programs and apply to all three. Your next step should be researching tuition costs for each program you are interested in. Sometimes, you can save money by taking an online program versus an on-campus program because fees and overhead costs are often lower. You may also be able to save on tuition by taking an accelerated MBA program. Be sure to balance these savings against what you may give up in terms of employment income to figure out the best solution for your personal, work and financial situation. There are several types of financial aid that graduate students can apply for. Once you know whether you will attend a full-time or part-time, online or on-campus, traditional or accelerated program, you can then start researching the best combination of financial aid options to pay for your education. Federal aid. Your first step in researching financial aid is to fill out the FAFSA, or Free Application for Federal Student Aid. These results can then be forwarded to the financial aid office of any institutions you have applied to. The institutions use this information to calculate other financial aid or awards you may be eligible for. The government also uses the FAFSA information to calculate what types of grants and loans you may be eligible for. Also, be aware of the submission deadlines for the FAFSA and allow adequate time to complete this complicated form. School aid. School aid may come in the form of fellowships, work-study programs, scholarships or grants — or a combination of all of the above. You should contact both the university financial aid office and the specific department office to find out what types of aid you are eligible for and what the application requirements and deadlines are for each. Tuition reimbursement or forgiveness. 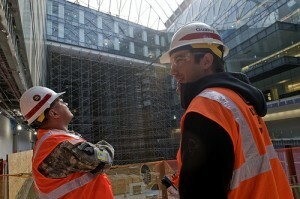 For some students, their employer may also offer tuition reimbursement. Often, tuition reimbursement also requires the employee return to work for the company for a certain number of years after graduation. As well, for graduates who choose government, education or nonprofit-sector work, sometimes you can qualify for tuition forgiveness if you meet the eligibility requirements. Private scholarships. There are a number of websites you can use to research private scholarships. You may also belong to associations or organizations that offer assistance for graduate-level students. Be sure to allow plenty of time for scholarship research and applications, as these are as competitive and complicated as applying for graduate school itself. Private loans. Private loans are still considered a last resort for undergraduate and graduate students. It is best to maximize all other types of aid first before turning to private bank loans. The one exception may be that, in certain circumstances, when interest rates are very low, private loans may offer you a better value than government-loan aid. Keep a careful eye on interest rates as your admission date nears to decide on the best course of action. It is important to spend adequate time thoroughly researching each aid option to reduce your overall financial burden. By doing your research thoroughly, you can find a way to earn your advanced degree and be on your way to achieving your career goals. Today’s guest article comes from Calli Nyhen (who enrolled in Benedictine University online last fall). Through assembling a combination of private scholarships, grants and loans, she now feels confident she can afford the higher education she has dreamt about. Looking For An MBA Scholarship? Here Are Some Tips! The cost of studying for an MBA is getting increasingly more expensive each year, making it even more difficult for aspiring professionals to advance their careers. This is further compounded by the present economic conditions. Scholarships are available, but they are not easy to acquire. You could spend a great deal of time looking in all the wrong places and still come up empty handed. This article will feature what it takes to get an MBA scholarship that will help you to fund your degree. It will look at who the main providers of scholarships are and what it takes. In its bid to help citizens acquire an education and pursue their dream career, the government provides student loans and graduate school scholarships which are now also available for those pursuing higher education. 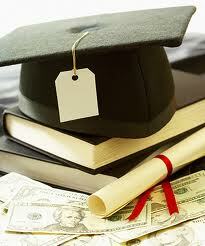 These scholarships are of great assistance, as they can cover most of the expenses associated with your MBA studies. Aside from the government, many colleges and universities offer scholarships for MBA studies, but these are disbursed based on merit. MBA fairs and MBA clubs also issue scholarships to their members. 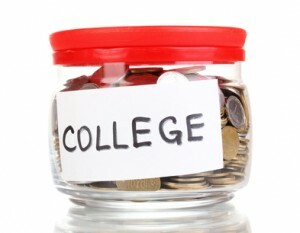 Other scholarship providers include companies, charities and financial institutions. Assistance may be offered in the form of grants/scholarships, bursaries, or loans. * Scholarships for students with disabilities. * Scholarships for students from (named) country. * Scholarships for students from developing countries. * Specially named donor-funded scholarships for a specific type of candidate. 2. Switch to the news section on Google when using it to search for ‘MBA scholarships.’ This will allow you to view the latest news on MBA scholarships. 3. Use Twitter to your advantage. A search on MBA scholarships will yield information on the current buzz about these scholarships. Aside from knowing the scholarships for which you may qualify, you also need to know how to go about applying for them to ensure you have the best possible chance of being selected. First of all, you need to increase your chances of getting a scholarship by applying for as many scholarships as you can. Apply for the less prestigious scholarships, as many people will have gone after the prestigious ones. The competition for less prestigious scholarships may be significantly less, giving you a better chance at being successful. If you have to do an essay to help you qualify for the scholarship, do your best to excel in it. Spend time writing a well thought out and convincing piece that will show off your capabilities. Excelling in your scholarship essay increases your chances of success. It may be a bit difficult to acquire MBA scholarships, but it is not impossible. Your first step should be to inform yourself about what is available to you, and then execute a well thought out strategy to help you seal the scholarship. Today’s guest article comes from Richard Kleven. He is an avid blogger and researcher. He is currently researching online EMBA no GMAT programs and reporting his findings to higher education online publications. He also enjoys sharing his insights on various blogs. Looking For A Grad School? Check Out This Resource! Over the course of time, a Bachelor’s degree has become a fairly common staple among students entering into the work force. Having a degree used to guarantee you a good job along with a comparable salary. Unfortunately, as competition gets tough in the job market and more and more students are donning their undergraduate degrees, it is necessary for those that are ambitious about their careers to distinguish themselves by furthering their education and obtaining a graduate degree. Finding a graduate program that will satisfy your educational goals can be quite a task. Not only do you want it to be the best fit from an academic perspective, you want it to be at just the right cost and hopefully accessible from a demographic standpoint. So, in an effort to help you locate the best graduate program, I would like to introduce to you a great new resource called GraduatePrograms.com. This site is packed full of features that are guaranteed to help you in your search to obtaining a graduate degree. The following represents a few of the more standout tools available. Already know which field of study in which you want to continue your education? GP has got you covered by offering a sort tool that allows you to narrow down various schools based upon the type of program that you are interested in. The options are quite inclusive and range from Engineering to Liberal Arts & Humanities. Click here if you would like to browse various graduate programs by area of study. Sometimes the perfect graduate program can be found in your backyard. Other times it may require that you move to a different part of the country. Location plays a big role in obtaining your graduate degree, so it is important for you to be able to pin point the location of the various programs offered nearby where you live or maybe where you think you will want to live. GP takes the guesswork out of determining location by allowing you to browse graduate degree programs by state. The quality and experience of a graduate program can vary. Colleges and Universities are very savvy when it comes to marketing their programs, so it is hard to tell how much you will enjoy (or dislike) a program based upon marketing materials. That is when student reviews and ratings come in handy. Fortunately for you, GraduatePrograms.com provides a forum in which students can share reviews and feedback about their graduate degree seeking experience. GraduatePrograms.com not only helps you find the best graduate program, they also provide you with a plethora of resources to help you acclimate to your new life as a graduate student. Here are a couple examples of the many informative articles available on GP: “How to Create the Best Living Situation in Graduate School” or “Networking While in Graduate School”. In an effort to help graduate students nationwide, GP has established a scholarship program that awards $1000 to one deserving student each quarter. In order to enter, all you have to do is leave a review about your current graduate program. So, if you are looking to continue your education and graduate school is in your sights, I hope that you consider utilizing all the resources provided by GraduatePrograms.com – The Graduate Program Guide for students, created by students. This may sound obvious, but to spend two or more years studying a subject academically, you have to be really interested in it. A lot of people enjoy sitting around and leisurely wondering how other people’s minds work, but many of them would lose interest after a semester of graduate level coursework. Don’t go for a master’s in something you’re just curious about — go for your passion. Make certain to research what jobs will be available to you after graduation and what further options might open up several years down the line. Your graduate studies should lead into a meaningful job that will enable you to pay off your loans, at the very least. Are you willing to commute or relocate for a two-year, full-time program? Do you want to hold on to your current job or continue raising your children while taking night classes? Or would you prefer the flexibility offered by one of the new generation of high-quality online master’s programs? Graduate school costs money, and the best schools tend to come with the highest price tags. Depending on your area of study, qualifications, experience and other factors, you may have several options for how to cover those expenses. Research grants, fellowships, scholarships, federal loans, private loans and the possibility of an employer financing you before dipping into your savings. Once you have an idea of where you want to go, how you’re going to finance your education and what kind of salary you’re likely to earn afterward, you can perform a return-on-investment calculation. Assuming you plug in all the right numbers, this formula will give you an estimate of how long it will take you to pay off your loans and begin reaping the financial rewards of your education. There are a lot of factors to take into consideration before applying to graduate school, but if you make an informed decision, the odds are that you will be very happy with the program you end up in. Graduate school is the first chance many people have to engage in serious study of a subject they’re passionate about with a group of peers who share their fascination. It can also open doors into a career that you have hungered for or rapidly increase your earnings in the position you already have. The important thing is to make sure you’re going for the right reasons, so that you can enjoy your education and its rewards when they arrive. Today’s guest article is provided by Melissa Woodson. She is the community manager for @WashULaw, a premier Masters of Law program offered through Washington University in St. Louis. In her spare time, she enjoys running, cooking, and making half-baked attempts at training her dog.